If you believe your child’s identity may be compromised, check to see if they have a credit report by contacting any of the three credit reporting companies: Equifax (1-800-525-6285), Experian (1-888-397-3742) or TransUnion (childidtheft@transunion.com). Ask for a report with that child’s SSN. Hopefully, you will receive a response stating, “There is no report.” That would mean no one has used your child’s SSN. Inform the credit-reporting agency of what is on the report. Ask them to remove all accounts, account inquires and collection notices from files associated with your child’s SSN. Contact businesses where your child’s SSN was used. Ask them to close those accounts and flag the transactions that resulted from identity theft. File a fraud alert with the FTC. File a police report if the fraud resulted from taxes or medical services. 1. Share your child’s SSN only when you must. School registration forms, athletic leagues, clubs and other organizations all may require a SSN but they have no legal need to do so. Challenge those who request such information and ask if you can use an alternate identifier for your child. The last 4 digits of the SSN are the only critical numbers a criminal needs to start the process. Do not be reassured if the requestor only asks for those four digits. 2. Keep birth certificates and social security cards in a secure place out of the sight of others. 3. Manage your child’s online privacy settings and monitor what they are sharing online. Discuss with them the dangers of sharing too much personal information. Their social media page is a prime target for thieves to gather personal information. 4. If your child spends time online, teach them how to spot an authentic website from one set up to steal information. 5. Shred all documents that contain account numbers or SSNs before you throw them out. 6. Teach children never to give out personal information over the phone, in a chat room, instant message or anywhere online unless you can be completely certain you are dealing with a legitimate company. Child identity theft is a growing crime. Your best bet is to be proactive and limit a thief’s opportunities. And when something suspicious occurs don’t blow it off. It may be a red flag signifying a greater threat. Related Information on child identity theft at ConsumerAffairs.com. Questions: Do you know of anyone who had their identity stolen when they were a child? How did it impact them? What other ways can you protect kids from identity theft? Why are family members so often the main culprit? 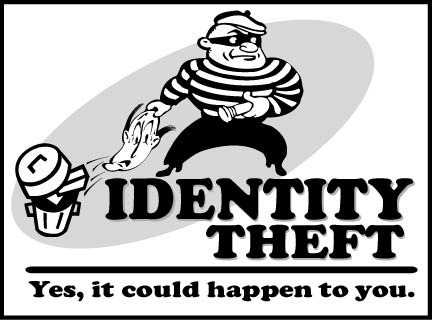 It’s a scary thing in our increasingly digital world how susceptible we all are to identity theft. I frequently think about myself and my wife, but you bring up some great points to protect our children as well. ID theft scares the bejeebies out of me – for me personally. I probably bury my head in the sand thinking this can happen to my girls, so I’m glad you reminded me that we need to be proactive. I’ve also been very irritated when the doctor’s office asks you for a social. They don’t need it, either. When they verify you with the insurance company, the company is not going to ask for that information. This is one of the reasons we don’t post about our children on social media sites. We try our best to use our kid’s social only for extremely necessary things. I worry about this all the time. “…social media sites.” I agree Pyper. We haven’t let our kids do social media yet (have their own pages). We post about them on our pages (really only Facebook) so we can control what goes out. This is definitely something Chris and I keep in mind. So many forms require SSNs but it’s not really not necessary. We try avoid giving that information out whenever possible and often times if you ask nicely, they will accommodate you, especially when it’s forms to sign-up for activities where they already know who you are. Wow – scary statistics! I check my own credit report regularly, so I guess when I have kids I might do the same for them just to make sure nothing fishy is happening. The tips about teaching kids how to be smart online and with sensitive info are great too! Ali recently posted…Should I Buy or Lease a Car? “… teaching kids how to be smart online…” As savvy as kids are with technology, they really lack boundaries when sharing information online. They do not understand how their personal data can be compromised and used against them. This is one reason why I and my kids always have a talk about what they post online or share with friends or strangers. Open communication is really important. One benefit of this is that kids share anything with us as parents such as their passwords and experiences, so that we know if there is any imminent situation that can result in identity theft. It’s better to be ready than not. Nice article Brian. Thanks for this post Brian! I never would have thought of our daughter as being higher risk for identity theft, but good to know. I am paranoid when it comes to people asking for our info. I never give out SSNs and often don’t give DOBs either. As a matter of fact, I was just filling out forms online the other day for our daughter to go see a dentist. Not only did it ask for all of our DOBs (hers, mine, and hubby’s), but it wanted all of our SSNs as well! Crazy. Of all of that info, I decided that the only piece of info they really needed was our daughter’s DOB. I left everything else blank. But I can’t help but wonder how many people just hand over all that info!! I think many people just hand it over without thinking. We’d like to think everyone can be trusted but that’s just not the case. Only give out what’s necessary.